Sure. The collection traces the journey of integrating the self. It is about recovering from domestic, complex trauma. It is about the healing journey towards dismantling of our defense mechanisms and facing our demons, our shadow part, to achieve a healthy, fulfilled life. Why did you choose to exhibit your work here at The Third Place in Newtown? It was actually a happy accident. Someone from the venue approached me when they first opened to display my work on the walls. It has been a mutually beneficial relationship, because it provided me with a platform to show my work. Since I am now leaving the space, I decided to have the exhibition here. Is there a collective theme for this new body of work? Yes, the integration of the self. The exhibition traces the journey of recovery and healing. The collection starts with the shadow work and moves to finding healing and hope and finally on to the integration of the self. Are there any other South African artists or creatives who inspire you? Definitely, I have been lucky to be part of a creative community, first at Vega School and then at Wits. A lot of my friends are making work all over the world now. I am inspired by creatives like DJ Kyle Watson, other DJ’s, designers and musicians. Also, coming from Wits there are the more academic, intellectual influences. Is there a story behind your artists moniker, NovaWoolf? [laughs] There is, but I think I will keep that to myself. I will discuss it at a later stage. NovaWoolf was born and raised in Johannesburg. She calls herself, “part artist, part scientist – a seeker”. She holds various academic degrees, including an MA in Social and Psychological Research. Her artists journey began while studying graphic design. “Whilst my academic pursuits allow me to grapple with the social world intellectually, it is primarily through creative exploration with my art supplies that I have found a vehicle to implement and make accessible, my insights. My visual language represents a search for balance. I aim to honour both the complexity of concepts, and the necessity for simplistic communication, both the practical and the poetic, the known and the mysterious, the head and the heart,” she says. NovaWoolf is a multidisciplinary artist, working across varying mediums to produce thoughtful, moody prints and wordscapes. She also offers graphic design services and custom commissioned artworks. Both her prints and some original works are up for sale at the “Path To Integration” exhibition. NovaWoolf’s latest collection of work, titled “The Path to Integration”, traces the healing journey through the processes of shadow-work, strengthening of the ego, releasing of destructive defence mechanisms, and the reorganising of the ID, toward integrating the previously fragmented self to achieve wholeness. The collection has previously been unconventionally integrated into The Third Place, Newtown: a space where social hierarchies based on ethnicity, race, cultural heritage, and economic or social status are defied, to constructively engage in creating safe spaces for social connection in the heart of the city. NovaWoolf’s body of work, from digital illustrations, to charcoal drawings, and ink-and- watercolour paintings, explore themes of psychological trauma, victimhood, recovery, growth, and integration. Her work explores the idea that complex traumatic stress is widespread, on a global level and in a South African context due to socio-political, economic and environmental challenges we face everyday. The collection addresses this trauma and challenges the viewer to confront their own destructiveness. It encourages healing through facing our own inner darkness and releasing of unhealthy defense mechanisms, to do the uncomfortable work of healing our hearts, to enable us to heal our people, and planet. “The Path to Integation” will be exhibited from Thursday, 28 February to Wednesday, 6 March 2019 at The Third Place in Newtown. 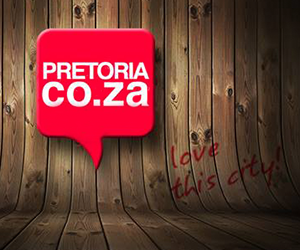 Find them at: 39 Gwi Gwi Mrwebi Street, Newtown (right next to Carfax nightclub). For more information, visit NovaWoolf’s website. Alternatively, follow her on Facebook and Instagram.